“(…) A cardboard-leather box, very robust, in the form of a drum, with the lid secured by a string connecting the metal buttons and tied down with a lead seal required by the Post”. (from Storia del Panettone by M. Alberini, Milan, 1981). The above is the description of the hatbox most commonly used to carry Panettone. At the beginning of the 20th century, the sweet bread was proudly shipped even beyond national borders. 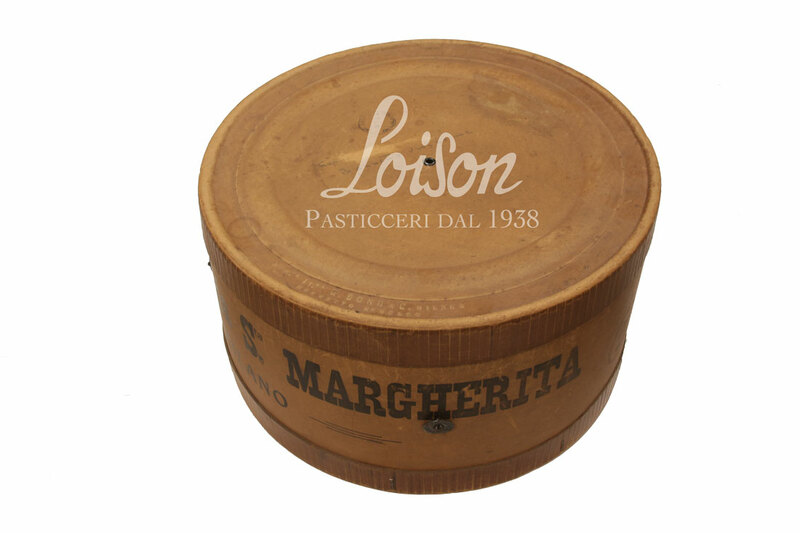 This antique hatbox belonged to pastry makers St. Margherita, one whose shop used to be located in the heart of Milan, with another branch in the Vittorio Emanuele Gallery. This was one of the historical brands that left fragments of their existence through order forms and payment receipts, chromolithography prints, hatboxes, newspapers and magazines of the period. 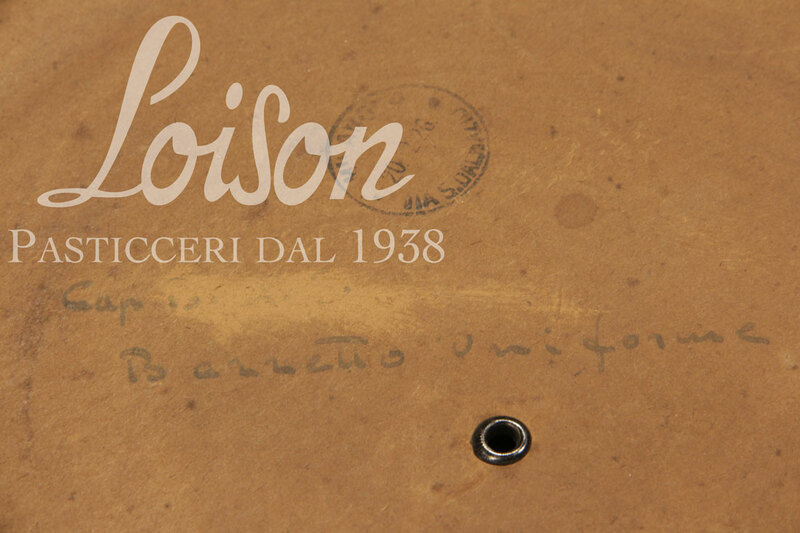 It was February 20, 1926, when 3 kilos of Margherita Panettone were on their way to sweeten the palate of some lord or lady, well past the Christmas holiday season, as a sign that this was indeed a precious gift. A round-shaped hatbox with a lid, made from sturdy cardboard. The lid and the metal buttons retain the original shipping label bearing patent no. 86600, issued by Società Italiana G. Bono & Co.